My Mom always taught full time and overtime so when i lived with her our quality time was breakfast on the weekends. We’d sit and she’d force me to have papaya and we would talk about everything and not fight over everyday crap (if you know us well, you know how rare it was for us not to argue over everyday crap). I had not seen my Mom since 2001. Of course we talked on video messenger and Skype, but i missed her. Today we had breakfast together. 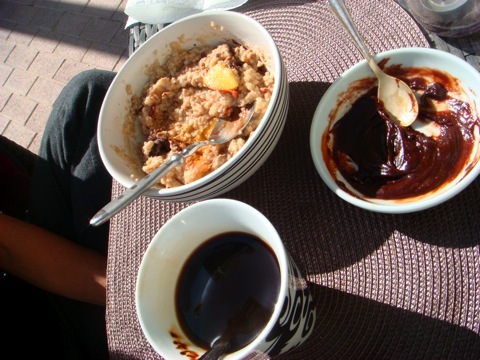 Mom had oatmeal with dried fruit and nescafe, and i introduced her to tahine mixed with date syrup. 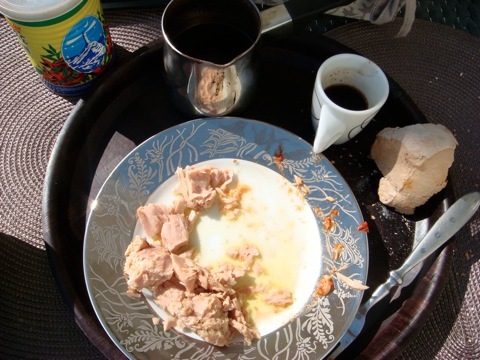 Anis had tuna and harissa with turkish coffee. 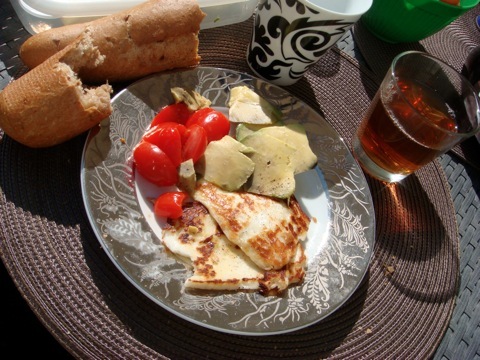 I had cherry tomatoes, avocado and grilled haloumi; and apple tea. 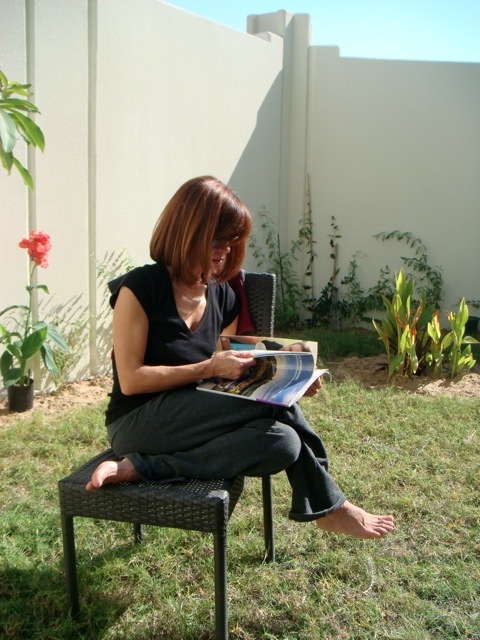 It was almost surreal to see my Mom reading a magazine in our backyard. 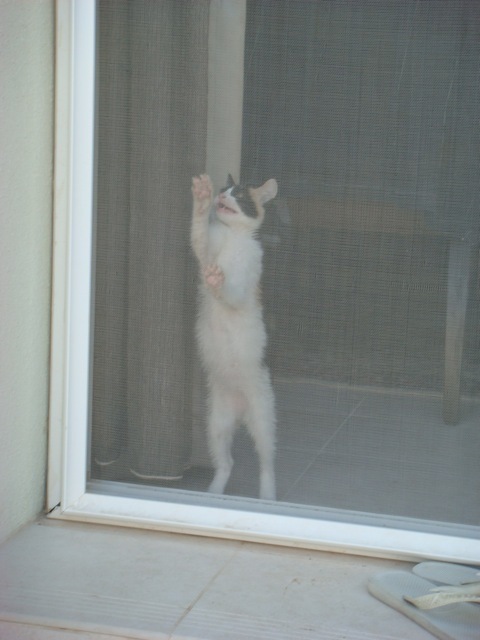 Mew was upset because we kept her inside because she insisted on climbing the table. But Anis sneaked her out in his hoodie. 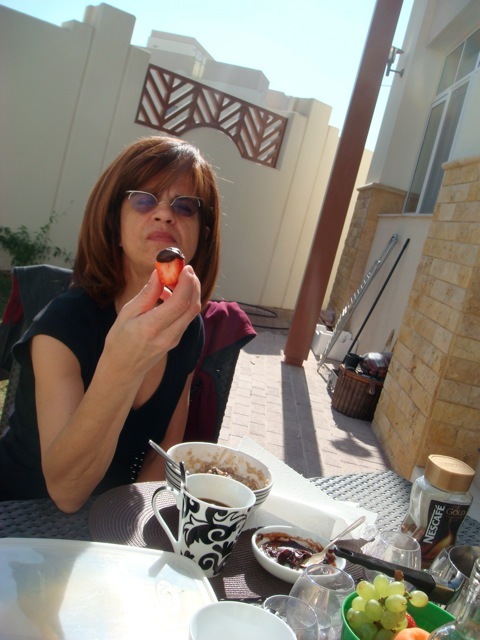 Mom enjoys a strawberry with the tahine/date syrup mix. She says it tastes like Nutella.